Welcome to SGR - The Medina Line! SGR – The Medina Line welcomes Vulcan Managers from Birmingham, Atlanta, Florida and Houston – providing them with a tour of the projects under construction in Medina County. Cynthia Prieto, Community Liaison for SGR was awarded Rotarian of the Month for her dedication to Rotary Ideals and core values of volunteerism. Chris Kailiapaka, Club President – presented her an award, as a token of appreciation. 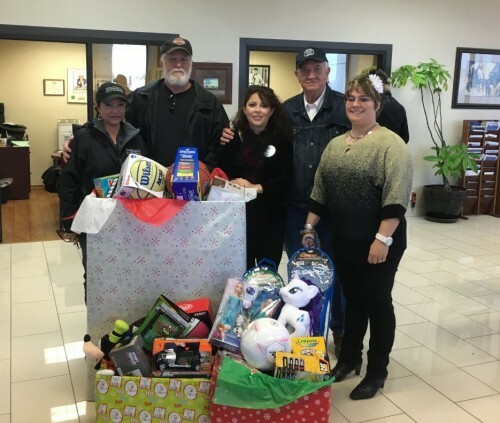 Rotary Club Hosts "Share the Joy"
Rotary Club of Hondo – D’Hanis held it’s annual Share the Joy project on Friday, December 14th and were very fortunate to have the McDowell GT Students, D’Hanis & Hondo RYLA Students volunteer to help with this project. This year, Rotary sponsored 33 families with over 90 kids – purchasing gifts for the children, a turkey meal for the family to serve on Christmas Day and served the parents a hot meal. The students helped wrap the gifts and loaded all the goodies in their vehicles. A big thanks to Ms. A. Garcia – GT Teacher at McDowell for working with Cynthia Prieto (a Rotarian), in helping coordinate the class project as a “joint project” with Rotary. We appreciate everyone’s participation with this wonderful event – especially the students! 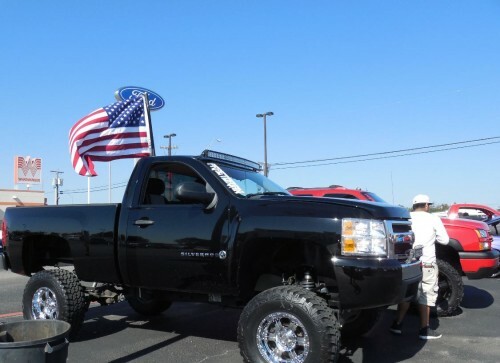 On November 21, Media County residents descended on Cecil Atkission Ford for the First Annual Angels’ Crossing Car Show/ Toy Drive. A panel of judges (including our very own Cynthia Prieto) awarded trophies and gift certificates to owners of the top automobiles. Six huge boxes of toys were collected for Angels’ Crossing, who will distribute to Children at their Christmas party on December 5. SGRR provided trophies, while Pepe’s Pizza catered the tasty food. A special thanks to both the Renegades of San Antonio and Mayor Danner of Hondo. The Renegades helped organize the event and Mayor Danner handed out awards. 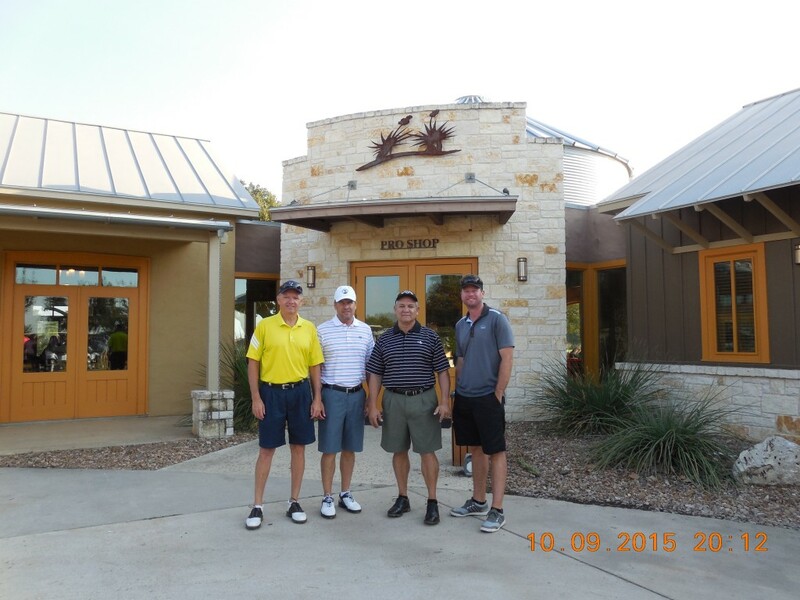 Vulcan Materials Company participated in the 7th Annual Hondo-D’hanis Rotary Club Golf Tournament on Saturday October 10th at Alsatian Golf Course. The event raised $6,800 for Rotary Club, and will help fund projects, gifts, and meals around the holidays. SGRR and GoMedinaCounty.com operated a booth at National Night Out. 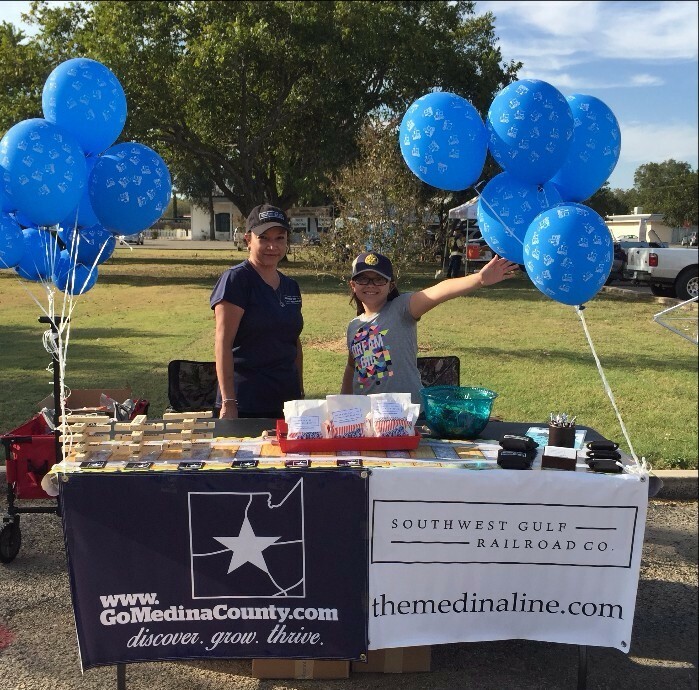 Southwest Gulf Railroad helped sponsor the National Night Out on Tuesday in Castroville. The annual event promoted involvement in crime prevention activities, police-community partnerships and neighborhood camaraderie. SGRR and GoMedinaCounty.com hosted an informational booth and handed out wooden train whistles, merchandise and snacks. Southwest Gulf Railroad is the newest member of The American Short Line and Regional Railroad Association (ASLRRA). America’s short line railroads provide efficient and environmentally friendly transportation services for local businesses, employers and communities around the country. They operate nearly 30 percent of the nation’s total railroad mileage, more than 50,000 miles of railroad track. Short line railroads employ nearly 20,000 people and create and support countless more American jobs for industries that use the rails. They serve more than 13,000 facilities and haul over 14 million carloads per year. SGRR was a proud sponsor of the Medina County Fair Steer/Heifer Prospect Show held September 11-13th at the fairgrounds. In an effort to continue to support the Medina County Fair Association and our local students, SGRR sponsored buckles awarded to the winners at the prospect show. The Castroville Area Chamber of Commerce, a partner of Southwest Gulf Railroad, is holding the Ragin’ Cajun Raffle Oct. 10 to benefit the Chamber’s building fund. WHAT: Ragin’ Cajun Raffle. The raffle will feature 32 prizes, including four tickets to a 2016 Texas Rangers game that were donated by SGRR. Acadiana Cafe will cater a catfish dinner. WHERE: Brady’s Bloomin’ Barn, 2050 CR 271, Rio Medina. WHEN: Doors open at 6 p.m. Dinner served at 7 p.m. COST: $100 per couple. Limited tickets available! For more information or to purchase a ticket, visit Castroville.com or call the Chamber office at (830) 538-3142. You can also call Chamber President Mike Beasley at (830) 538-3411.